[Episcopal News Service] Diocese of Alabama Bishop Kee Sloan issued a message to his diocese on Feb. 9 announcing his intention to step down at the end of 2020. He has called for the election of a bishop coadjutor, who will succeed him as diocesan bishop. Sloan first announced his plans in an address to the diocesan convention. The text of his written message to the diocese follows. This morning in my address to our Diocesan Convention, I called for the election of a Bishop Coadjutor, who we will elect to become my successor. It is my intention to continue to serve as your Bishop Diocesan until the end of 2020. You will be able to see and hear the address here or read it here, but the essence of it is that I think it’s time for me to step aside for new leadership as we continue to share the Good News of the love of God in Jesus Christ in a changing world. We will release more details about the process of nominating and electing the 12th Bishop of Alabama when they become clear, but it will likely take a year and a half or so, and after we elect and ordain the next bishop, there will be a few months of overlap so that the transition is orderly and smooth. The part of us that is always on the lookout for something juicy or scandalous will have to be disappointed this time: I have loved being your bishop, and I still do. I’m not mad at anybody, I haven’t lost my faith, I’m not quitting in a huff, and I’m not being run out of town. It’s just time. By the end of 2020, I will be 65 years old and will have been ordained for over 39 years, 13 as a bishop. By the end of 2020, I will have been married to Tina my sweet and patient wife for 33 years, and we want to have some time for travel and new adventures. So I guess I’m a Lame Duck now, and there’s not much I can do about that. But it’s not time for goodbyes yet; I’m still the bishop for a while, and I really don’t want to spend the next 20 months saying goodbye every time I say hello. There will be time for goodbyes later, and we have a lot of work to do before then. The Lord bless you, and keep you, and make his face shine upon you. The post Alabama Bishop Kee Sloan announces plan to step down at end of 2020 appeared first on Episcopal News Service. 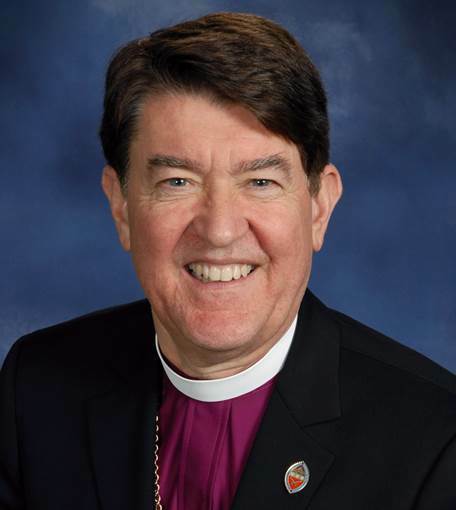 [Diocese of Western New York] Bishop Bill Franklin, who will retire as bishop of Western New York on April 3, will become assisting bishop in the Diocese of Long Island in May. Franklin, who holds a doctorate in church history, will work with the Long Island diocese’s Mercer School of Theology, conduct parish visitations and support clergy and lay leaders. He joins Bishop Daniel Allotey and Bishop Johncy Itty, who also serve as assisting bishops. Bishop Geralyn Wolf is the assistant bishop of Long Island. In retirement, Franklin will also teach a fall 2019 course in liturgical history at Episcopal Divinity School at Union Theological Seminary in New York. He continues to serve as vice-chair of the Board of the Archives of the Episcopal Church and as chair of the Episcopal Church’s Task Force to Coordinate Ecumenical and Interreligious Work. The Diocese of Western New York will hold three events to celebrate Franklin’s ministry, including a service on April 7 at which Northwestern Pennsylvania Bishop Sean Rowe will be installed as bishop provisional. The post Retiring Western New York bishop to serve as assisting bishop in Long Island appeared first on Episcopal News Service. La Iglesia Episcopal de Colorado recibió una notificación del Obispo Presidente y Primado Michael B. Curry y del Registrador de la Convención General, el Reverendo Canónigo Michael Barlowe, de que el obispo electo Kimberly D. Lucas ha recibido la mayoría requerida de consentimientos en el proceso de consentimiento canónico detallado en Canon III.11.3. Al dar consentimiento a su ordenación y consagración, los Comités Permanentes y los obispos con jurisdicción dan fe de que “no hay impedimento debido al cual” el obispo electo Lucas no debe ser ordenado como obispo, y que su elección se llevó a cabo de acuerdo con los cánones. El Reverendo Kimberly D. Lucas fue elegido obispo el 27 de octubre. El Obispo Presidente Curry oficiará en su ordenación y servicio de consagración el 18 de mayo. The post La Iglesia Episcopal de Colorado anunció el exitoso proceso de consentimiento canónico appeared first on Episcopal News Service. 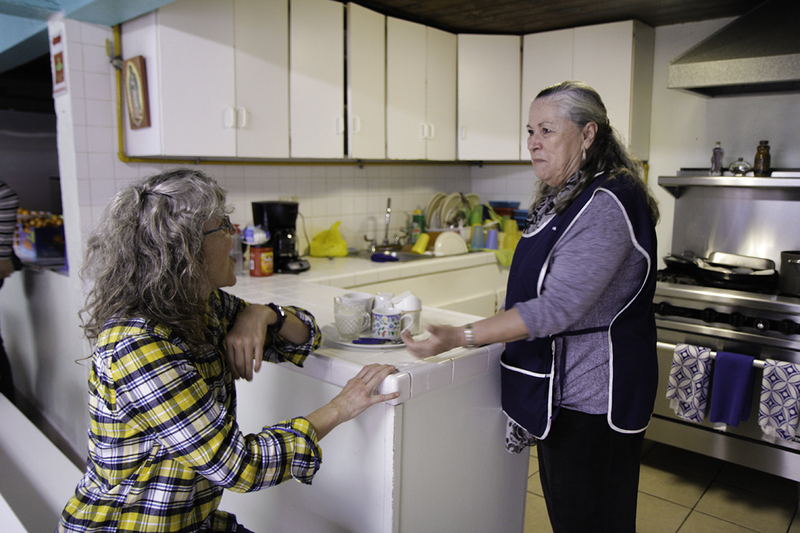 [Episcopal News Service – Tijuana, Mexico] Routine and order. That’s the rule of life at Vida Joven de Mexico, an orphanage here where 24 abandoned Mexican children ages 2 to 18 live. The home is located near a maximum-security men’s prison, where in the 1970s, a makeshift “village” of poor women and children emerged to live in proximity with the men. It was dangerous; children witnessed violence, assassinations, drug trafficking and abuse. 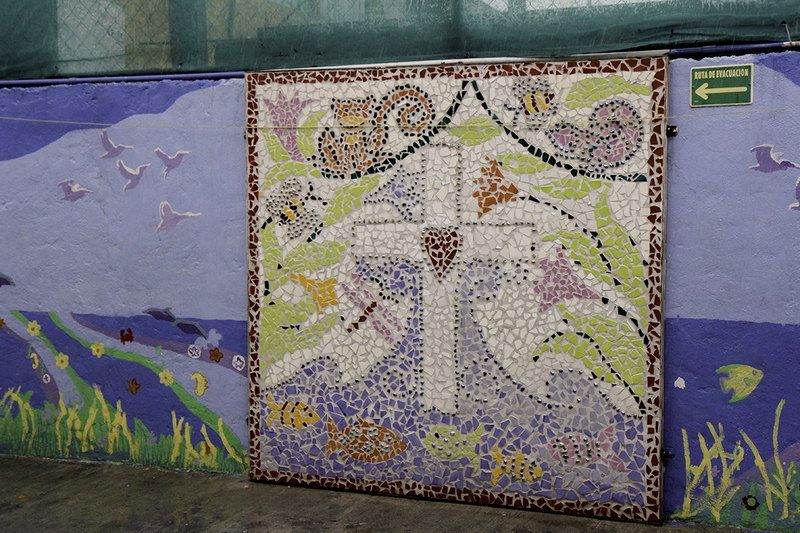 In 1996, Episcopalians from Los Angeles learned of the village and responded with Vida Joven, which remains in its original 2,000-square-foot concrete building with a 25-child capacity. “We were meant to rescue kids from danger. We never intended to be a place for kids to grow up,” said Sylvia Laborin, Vida Joven’s founding director, who will retire later this year after 22 years. In Mexico, abandoned children become wards of the state and are sent to shelters or orphanages, or end up living on the streets. Eighty percent of the children who land at Vida Joven come through social service agencies; 90 percent of them have at least one living parent, but all have been either surrendered or abandoned, said Beth Beall, executive director of Vida Joven in the United States. Tijuana, which borders San Diego, is one of the most dangerous cities on the planet. With a population of 1.7 million, the city’s homicide rate reached 2,500 in 2018. An estimated 3,000 to 4,000 children are in state custody in Baja California, the Mexican state on the Baja California Peninsula, where Tijuana is the largest city. Drug trafficking is largely responsible for the violence, and many of the abandoned children’s parents suffer from drug addiction. For example, four siblings landed at Vida Joven after a neighbor saw the oldest one, a 7-year-old girl, searching for food in the garbage. Both of the parents were on drugs. Family is important in Latin culture. It’s customary for children to remain with their families, so living apart from them can be tough for the children, especially teenagers. “Some have run away to reunite with family, and it hasn’t worked out well,” Laborin said. 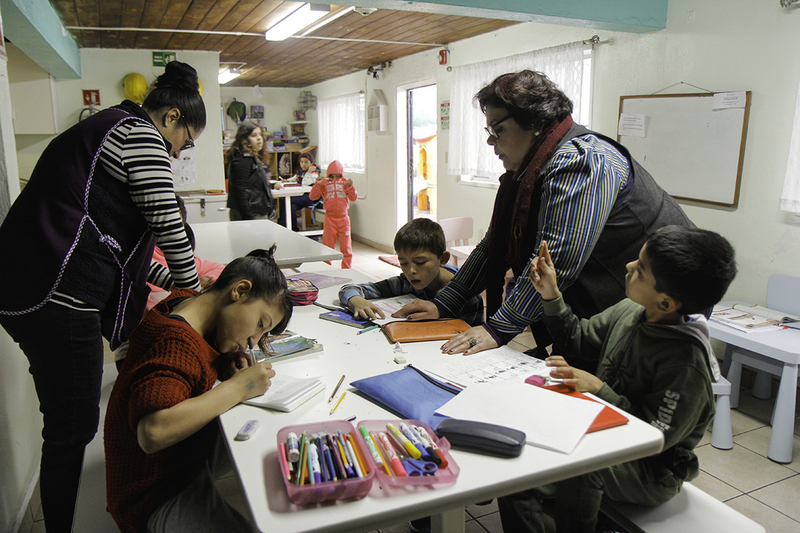 Now an institution of the Diocese of San Diego and an established U.S. nonprofit organization, Vida Joven operates on a $320,000 annual budget, with $220,000 funding operations in Tijuana. It costs about $8,000 per child, most of which goes to staff salaries, said Beall. Vida Joven functions with 15 round-the-clock staff members – including a psychologist and a social worker – none of whom live onsite. The children sleep in dormitories: infants and toddlers together in one room; older boys and girls in separate dorms, each dorm equipped with one bathroom. The beds are neatly made, clothing stacked in piles in the closet. There’s an administrative office, a space dedicated to study, a kitchen and a dining area, which also serves as common space for homework. On a recent Thursday afternoon, following a meal of refried beans, guacamole and tortillas, the children dutifully opened their notebooks and began their homework. In modern Mexico, it’s impossible to find a job as a cashier without an education, something Vida Joven’s leadership and supporters emphasize. Mexico provides free public school education, but it costs about $100 to buy the required uniforms to start kindergarten, while the average worker in Tijuana earns $4 per day, Beall said. Many of the children’s parents have little to no education beyond primary school. In the past, students could leave school after sixth grade; today the government mandates a 12th-grade education. However, as Vida Joven’s leadership has found, capacity exceeds space by some 10,000 students. Vida Joven’s secondary education-aged students attend private school for $200 a month. 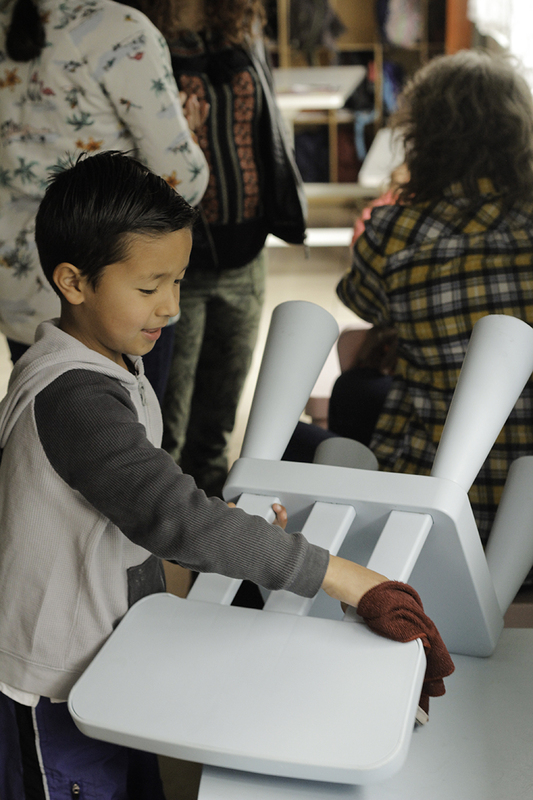 “We are fortunate we have donors who really get it and fund education,” said Beall. 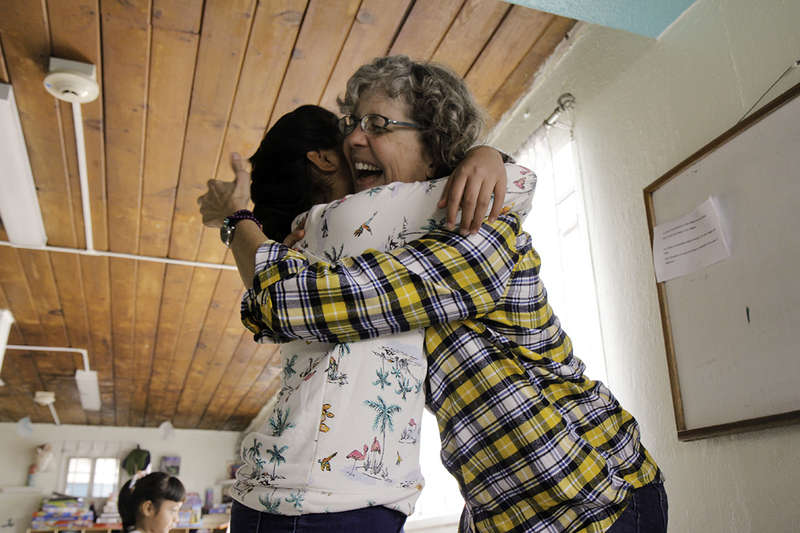 In recent years, Vida Joven has received support not just from U.S. donors, but from people in Tijuana who’ve come to support the orphanage, as well. Before Laborin became Vida Joven’s director, she worked as an esthetician. After her husband died and her children married, she closed her shop. She discovered that “not doing anything” was terrible. Then, she saw a job advertisement for Vida Joven. She was one of 100 applicants and five selected for interviews. One of the first things Laborin did was clean up the building. It was something she could control because, even with order and routine, no two days are the same. Twenty-two years ago, when the first children arrived, Laborin expected their belongings to follow. They didn’t; they arrived only with the clothes on their backs. “The need, really, I was overwhelmed totally,” she said. One of the most important things, though, she said, is that her eyes were opened to humanity and people’s unseen needs. – Lynette Wilson is a reporter and managing editor of Episcopal News Service. She can be reached at lwilson@episcopalchurch.org. The post Vida Joven de Mexico offers ‘orphans’ a home, education and chance at life appeared first on Episcopal News Service. [Anglican Communion News Service] The Central Equatoria internal province has established the first Episcopal radio station in South Sudan’s capital, Juba. It has been named to honor the tremendous role played bySarah Meling, the first provincial president of the Mothers’ Union who served what was then the Episcopal Church of Sudan from 1985. The station is Sit Sarah Radio 98.1FM – the word “Sit” is coined from an Arabic word meaning Madam. The post South Sudan’s first Episcopal radio station named in honor of Mothers’ Union president appeared first on Episcopal News Service. [Episcopal News Service] The Rev. Thomas James Brown was elected Feb. 9 to become the 10th bishop of the Diocese of Maine. Brown is currently the rector of the Episcopal Parish of the Epiphany in Winchester, Massachusetts. The diocese made history with the election. Brown will become The Episcopal Church’s only openly gay and married bishop currently leading a diocese. He is married to the Rev. Thomas Mousin, who is currently the rector of St. John’s Episcopal Church in Charlestown, a neighborhood of Boston. The church currently has one other openly gay bishop. The Rt. Rev. Mary Glasspool was elected as bishop suffragan of the Diocese of Los Angeles in December 2009 and consecrated May 2010. She has been an assistant bishop in the Diocese of New York since April 2016. She is married to Becki Sander. The Rt. Rev. Gene Robinson became the first openly gay and partnered bishop in the Anglican Communion in 2003 and served as the Diocese of New Hampshire’s bishop until his retirement in January 2013. He and his then-partner of 25 years Mark Andrew were joined in a civil union in 2008 and married in 2010. They divorced in 2014. Robinson’s consecration and ordination became a flashpoint in both The Episcopal Church and the Anglican Communion. Early in 2008, then-Archbishop of Canterbury Rowan Williams refused to invite Robinson to the decennial Lambeth Conference gathering of all the bishops in the Anglican Communion. Some other bishops refused to attend the conference due to theological disagreements with the main body of the church about the full inclusion of LGBTQ people and women in the life of the church. The Anglican Communion office has not responded to Brown’s election. After the election, the Rev. Maria Hoecker, rector of St. Columba’s in Boothbay Harbor and president of the Diocesan Standing Committee, said “We have been blessed by the Holy Spirit today with the election of Thomas Brown and the gifts he will bring as our next bishop,” according to a news release. Brown received his Master of Divinity from the Church Divinity School of the Pacific, an Episcopal Church seminary in in Berkeley, California. He has also served as rector of St. Michael Episcopal Church in Brattleboro, Vermont, and as the director of alumni and church relations at CDSP. 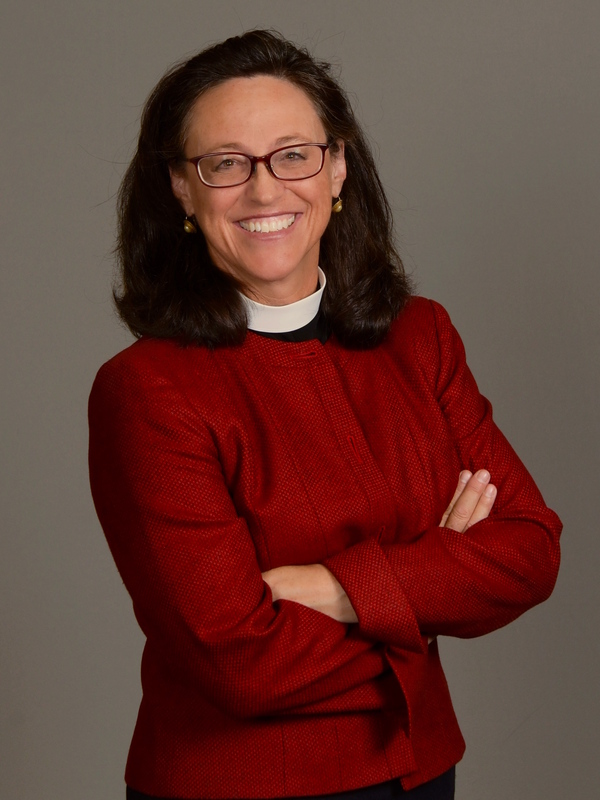 Bishop-elect Brown has held many leadership positions in The Episcopal Church and in the Diocese of Massachusetts, and is currently chair of the Church Pension Fund’s board of trustees. Pending consent of a majority of the church’s bishops with jurisdiction and the diocesan standing committees, Brown will be ordained and consecrated on June 22 at St. Luke’s Cathedral in Portland. Presiding Bishop Michael Curry will officiate. Brown will succeed the Rt. Rev. Stephen T. Lane who has served the diocese since 2008 and will retire in June. The post Thomas Brown elected 10th bishop of Maine in historic vote appeared first on Episcopal News Service. Patricia Carson (Nason) Mordecai, 80, of Scarborough, Maine, died peacefully at Gosnell Memorial Hospice Home on Feb. 7, 2019, from cancer. She was predeceased by her loving husband of 28 years, Donald D. Mordecai. Patricia leaves her daughter Barbara Nason and husband Peter Sherman, son Thomas Nason and wife Jennifer Martin, stepsons Daniel Mordecai and David Mordecai, brother and sister-in-law Robert and Penelope Carson, grandchildren Leeland, Marshall, Emma, Alexandra, Gillian, great grandchild Oliver and numerous nieces and nephews. Patricia (Pat) was born in Orange, New Jersey, and brought up in New Rochelle, New York. She graduated from The College of Wooster in 1960 where she met her first husband, Charles (Chuck) K. Nason. Pat was married to Chuck for 24 years and raised their children in Wayland, Massachusetts. In 1985, Pat married Donald D. (Don) Mordecai. After residing in Wayland, they moved to various places following their careers in Connecticut, Washington, D.C and New York. Pat had a life-long and commendable career with The Episcopal Church both nationally and locally, including at the Episcopal Divinity School in Cambridge, Massachusetts, the Episcopal Diocese of Massachusetts, and St. Albans Church in Washington, D.C. From 1998 until her retirement in 2006, she served as the chief operating officer of The Episcopal Church at its New York City headquarters. “The chief operating officer exercises a ministry of care and oversight on behalf of the presiding bishop. I can think of no one more suited to that task than Pat Mordecai. Her previous diocesan, seminary and parish experience, together with her well-developed ability to balance close attention to the proper working of the systems under her charge with respect and care for those engaged in the work at hand, made her the right person at the right time. Pat was a wonderful colleague and a dear friend,” said former-Presiding Bishop Frank T. Griswold. Following retirement, Pat and Don moved to Castine, Maine, where they were active in town and church affairs and enjoyed gardening, boating, walking, music and reading. In 2011, Pat and Don moved to Scarborough where Pat was very active at St. Mary’s Episcopal Church in Falmouth and the Scarborough Garden Club. A memorial service will be held at 11 a.m. on March 2, 2019, at the Episcopal Church of St. Mary, 43 Foreside Road, Falmouth, Maine. In lieu of flowers, those wishing to remember Pat may make a donation to The Island Institute (sustaining the islands and communities of the Gulf of Maine), P.O. Box 648, Rockland, ME 04841. The post RIP: Patricia Carson (Nason) Mordecai, former Episcopal Church COO appeared first on Episcopal News Service. [Diocese of Northern California] The Rev. Megan M. Traquair was elected the eighth bishop of the Episcopal Diocese of Northern California at the diocese’s Special Electing Convention on Feb. 9 at Faith Episcopal Church, Cameron Park. Bishop-elect Traquair is the first woman to be elected as bishop, selected from the first slate to ever include female candidates in the diocese of Northern California. Traquair was elected on the third ballot with a vote of 151 lay delegates and 85 clergy. To be elected required a majority of both orders on the same ballot. Traquair is currently canon to the ordinary in the Diocese of Arizona. Her husband Philip is a pediatrician at Phoenix Children’s Hospital. They have been partners and best friends as well as parents. They have two children: Hannah who teaches high school in Tucson, and Benjamin, who is an engineer in Colorado. Providing the Standing Committee receives the consents from a majority of the bishops of the church and a majority of the standing committees of the dioceses, the consecration is scheduled for June 29, 2019, at the Mondavi Center in Davis. The Episcopal Diocese of Northern California comprises 68 parishes and missions and includes all of Northern California from Sacramento north, except for the five counties of the San Francisco Bay Area. The post Megan M. Traquair elected ninth bishop of Northern California appeared first on Episcopal News Service. [Episcopal News Service] The pew had been an unmistakable fixture for decades at St. John’s Episcopal Church in Montgomery, Alabama. Online photos show the pew – a cross-shaped poppyhead carved in its wooden finial – sticking out among the rows and rows of newer, plainer-looking pews that filled the rest of the church’s sanctuary. One other detail made this pew stand out: It was known as the Jefferson Davis pew and had an accompanying plaque touting its history, a tribute to the Confederate president who attended St. John’s for three months in 1861 before the capital of the Confederacy was moved from Montgomery to Richmond, Virginia. Today, that pew is in storage. The congregation removed it recently and moved a newer pew from the back of the sanctuary to take its place. The plaque was removed, too. “To continue to allow the pew to be in our worship space would be troublesome,” the Rev. 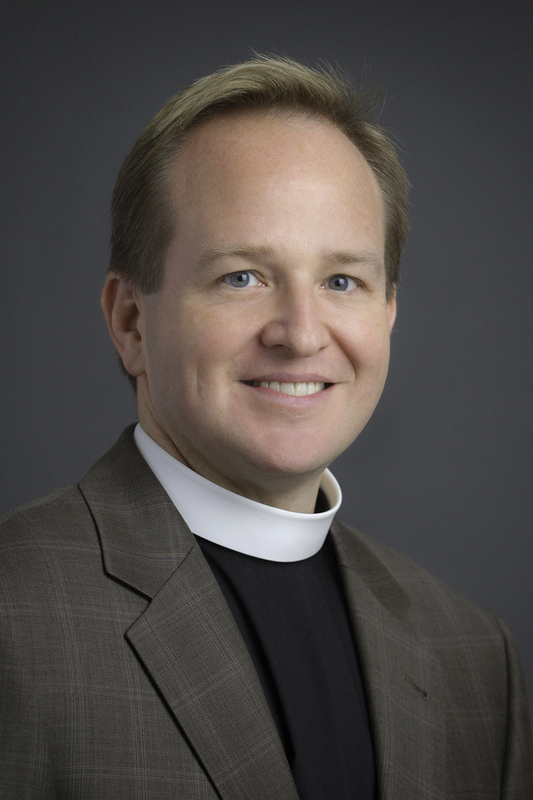 Robert Wisnewski, rector at St. John’s, said this week in a message to the congregation. At a time when Episcopal churches and institutions across the country are reckoning with their historical ties to slavery, the Confederacy and Jim Crow segregation, Wisnewski and vestry members took steps to set the record straight at St. John’s. They removed the Jefferson Davis pew, Wisnewski said, because its ties to Davis were false and its dedication ceremony 89 years ago was a political act steeped in racism, which runs counter to Christianity. Wisnewski, when reached by email, declined Episcopal News Service’s request for an interview, saying he had “nothing to add to the statement I’ve made,” though he clarified why the church began scrutinizing the history of the pew and plaque. “In teaching a Sunday school class this past fall, I became aware of the pew’s dedication not occurring until 1925,” said Wisnewski, who has served at St. John’s since 1995. 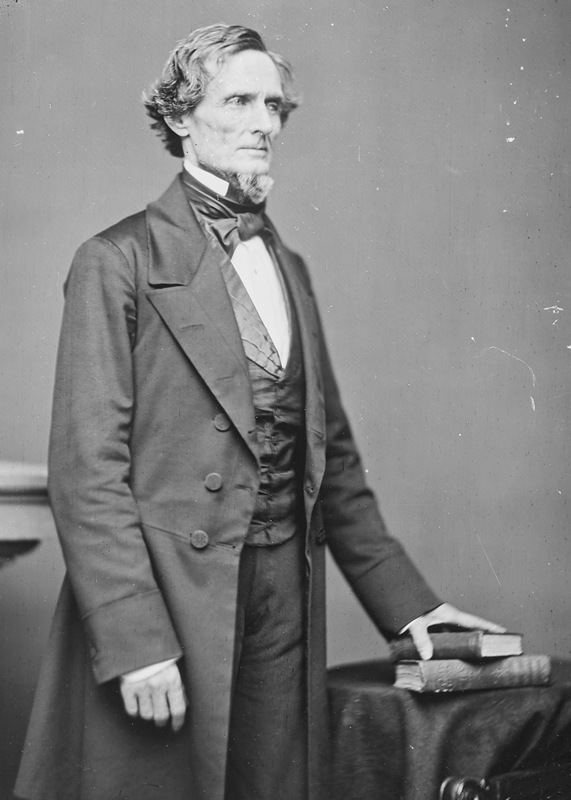 That detail was the first loose thread that led to the unraveling of the story of the Jefferson Davis pew. Wisnewski noted the plaque at St. John’s called Davis “a communicant,” but Davis was not yet a confirmed Episcopalian when he attended services at St. John’s. 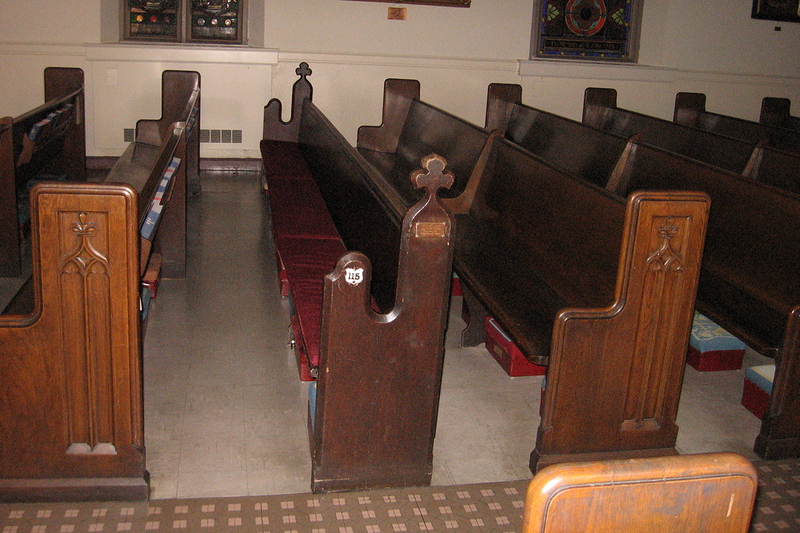 The pew that was dedicated in 1925 wasn’t an original, Wisnewski said. The congregation had replaced the old pews with new ones in the early 1900s. By the 1930s, a pew from Davis’ era had been re-installed and labeled, but its ties to the Confederate figure were uncertain at best. More troubling was evidence that the 1925 dedication ceremony championed white supremacy as openly as any nods to local history. Its timing, with racism and segregation on the rise, coincided with the “Lost Cause” campaign across the South, which sought to rehabilitate the image of the Confederacy and its leaders by denying the South fought the Civil War to protect slavery. In the 1950s, Montgomery would become a pivotal battleground in the civil rights movement, with the Rev. Martin Luther King Jr., as pastor of Dexter Avenue Baptist Church, joining others in leading the successful Montgomery bus boycott. But a century earlier, Alabama’s capital city was known as a commerce hub in the slave-powered cotton empire of the antebellum South. St. John’s is Montgomery’s oldest Episcopal parish. It formed in 1834, and in 1837, the congregation completed construction of its 48-pew brick church. When membership topped 100, the congregation built a new church in 1855, and slaves were given use of the old brick church, according to a guidebook published by the Civil Heritage Trail. Montgomery “was the exhilarated, thronging capital of the Confederate States of America” in the first months of 1861, the guidebook says, and Davis was inaugurated the Confederacy’s president in the city on Feb. 18. Davis was raised a Baptist and only began attending Episcopal services in Montgomery at the urging of his second wife, Varina. 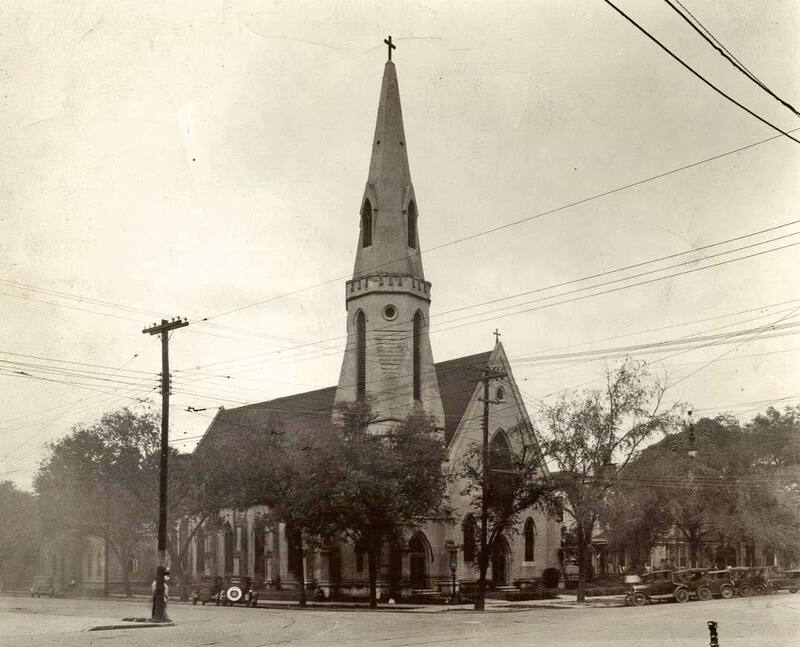 After leaving Montgomery, Davis was confirmed in 1862 at St. Paul’s Episcopal Church in Richmond, once known as the Cathedral of the Confederacy. Confederate Gen. Robert E. Lee also worshiped at St. Paul’s. Pew plaques and stained glass windows at St. Paul’s had long touted the Richmond church’s historical ties to those two prominent Confederate figures when, in 2015, St. Paul’s launched its History and Reconciliation Initiative to re-examine that history and consider whether changes were warranted. A massacre was the catalyst. On June 17, 2015, Dylann Roof opened fire at the Emanuel African Methodist Episcopal Church in Charleston, South Carolina, killing nine black worshippers. When photos surfaced of Roof posing with a Confederate flag, it fueled a nationwide debate over the racist legacy of such imagery and its embrace by white supremacists. At St. Paul’s, the congregation decided to remove all representations of Confederate battle flags but to keep family memorials to fallen Confederate soldiers, and the congregation left untouched its plaques marking the pews where Davis and Lee once sat. In 2017, a violent clash between white supremacists and counterprotesters in Charlottesville, Virginia, over the fate of the city’s Confederate statues led to a new round of national debates and amplified calls to remove such symbols from public display, including at Episcopal institutions. Washington National Cathedral in the nation’s capital removed stained glass windows depicting Lee and a fellow Confederate general, Stonewall Jackson. Sewanee: University of the South in Tennessee moved a statue of another Confederate general from a prominent spot on campus to the university’s cemetery. R.E. Lee Memorial Church in Lexington, Virginia, changed its name back to its original Grace Episcopal Church. “The argument is simple: The Confederacy fought to maintain slavery and white supremacy in the United States, and this isn’t something the country should honor in any way,” Joe McDaniel Jr., a member of General Convention’s Committee for Racial Justice and Reconciliation, said this week in an interview with ENS. General Convention has passed numerous resolutions over the years to guide The Episcopal Church as it responds to racism and atones for its own complicity in racial injustice and support for racist systems. Such efforts have led to the creation of the Becoming Beloved Community framework, now the church’s cornerstone initiative on racial reconciliation. McDaniel, a 58-year-old retired lawyer living in Pensacola, Florida, said he has followed closely the debate over Confederate statues and other memorials in recent years. He disputes arguments that removing such monuments amounts to erasing history. The monuments were not motivated by Southern pride or benign historic preservation, McDaniel said, but rather to promote a cause that was dedicated to keeping black Americans enslaved. Vestry members made that decision last weekend at a planning retreat, Wisnewski said in his written message, after he brought his research on the pew to their attention, including the evidence that the pew was not in place for the 1925 dedication. “The lore that the pew had been in place since the beginning of the Civil War and always known as the Jefferson Davis Pew is not true,” Wisnewski said. 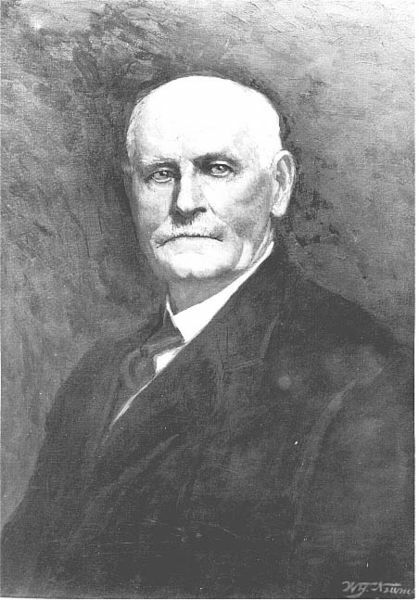 The rector also discovered details of the 1925 dedication ceremony, which featured a speech by writer and historian John Trotwood Moore, known as “an apologist for the Old South” who espoused virulent white supremacist rhetoric and defended lynching. A 1999 article in the Tennessee Historical Quarterly provides a description of Moore’s speech at the dedication of the Jefferson Davis pew, based on contemporary newspaper reports. The event was attended by Alabama’s governor and other civic leaders, and Moore was “their natural choice to deliver appropriate words,” according to the article’s author, Fred Arthur Bailey. In addition to hailing Davis as a “pure blooded Anglo Saxon,” Moore made a case that racial purity and white superiority were part of Davis’ legacy. Wisnewski indicated that Moore’s role in the dedication of the pew gave little doubt about its racist pedigree. “Confederate monuments and symbols have increasingly been used by groups that promote white supremacy and are now, to many people of all races, seen to represent insensitivity, hatred, and even evil,” Wisnewski said. The vestry voted to remove the pew and place it and the plaque honoring Davis in the church’s archives. “This was not done to rewrite our history or to dishonor our forebears,” Wisnewski wrote in his message to the congregation. The current vestry would not vote to add such a pew honoring Davis, so it would be “troublesome” to let the existing pew remain. The post Alabama church removes pew, plaque dedicated to Confederate President Jefferson Davis appeared first on Episcopal News Service. Se están aceptando solicitudes para las becas Roanridge Trust 2019. Las diócesis, congregaciones y organizaciones e instituciones relacionadas con La Iglesia Episcopal están invitadas a solicitar. Las becas Roanridge Trust se ofrecen anualmente y apoyan modelos creativos de desarrollo de liderazgo, capacitación y ministerios en pueblos pequeños y comunidades rurales de toda La Iglesia Episcopal. Las becas generalmente varían de 5.000 a 20.000 dólares y se otorgan para ayudar a equipar a los líderes que sirven como catalizadores del bienestar civil y social en los municipios rurales donde la comunidad está unida de manera única con la vitalidad de la iglesia local. “Estas becas afirman los valiosos dones y el testimonio único del trabajo ejercido en las comunidades episcopales rurales. Son una pieza clave del Movimiento Jesús, en la creación de líderes que sostienen la esperanza, la salud y la creatividad en lo que se puede pasar por alto o en las localidades con recursos”, dijo Melanie Mullen, Directora de Reconciliación, Justicia y Cuidado de la Creación para La Iglesia Episcopal. “Los beneficiarios de la beca Roanridge Trust representan anualmente el gran potencial, la diversidad y la capacidad de recuperación basada en Jesús en la América rural”. Más información, solicitud e instrucciones están en inglés aquí y en español aquí. Aunque los destinatarios anteriores son elegibles para solicitar, se da prioridad a los nuevos solicitantes. La fecha límite de solicitud es el 30 de abril de 2019. El Roanridge Trust fue establecido por la familia Cochel, que originalmente donó una granja en Missouri llamada Roanridge a La Iglesia Episcopal. Los ingresos del Fideicomiso generan los fondos de la subvención. Las preguntas sobre Roanridge Trust y el proceso de solicitud pueden dirigirse a Ann Hércules, ahercules@episcopalchurch.org. The post El período de solicitud ya está abierto para las becas Roanridge Trust appeared first on Episcopal News Service. The post Lambeth Conference: Archbishop of Cape Town calls on bishops to ‘express your difference’ appeared first on Episcopal News Service. 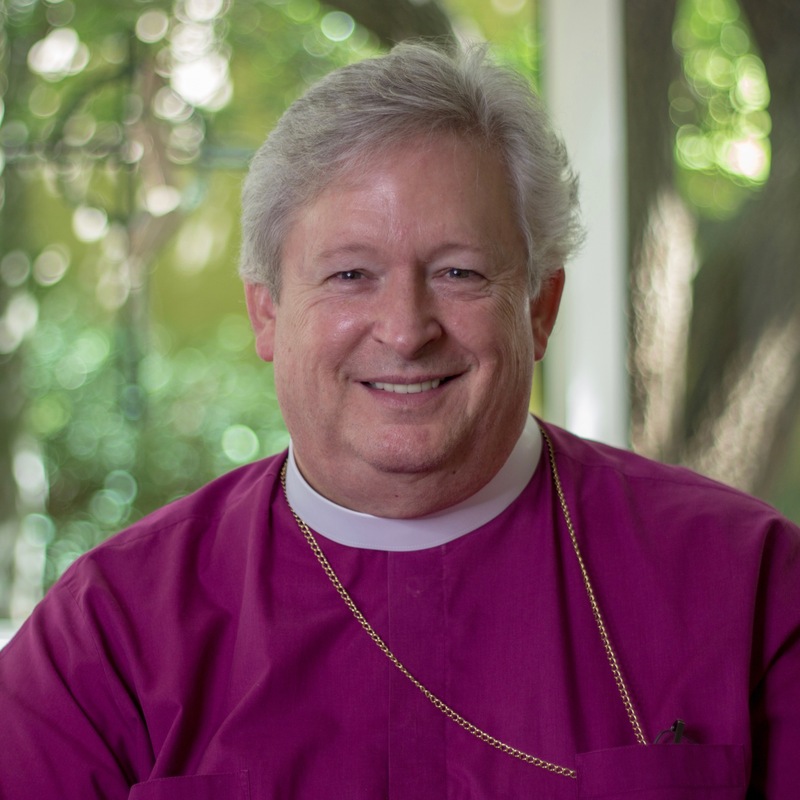 [Anglican Communion News Service] The new bishop of Christchurch in New Zealand, Peter Carrell, will be consecrated and installed Feb. 8 as efforts to reconstruct the earthquake damaged cathedral are finally underway. The cathedral was all but destroyed in the June 2011 earthquake. Years of dispute and legal wrangling over its future came to an end in September 2017 when the diocese agreed to rebuild the cathedral, with funding support from national and local government. The post Preliminary cathedral reinstatement works underway as Christchurch greets new bishop appeared first on Episcopal News Service. The post Tributes paid following the death of former Church of England evangelist Michael Green appeared first on Episcopal News Service. [Anglican Communion News Service] The Anglican Communion’s Director for Communications, Adrian Butcher, is stepping down after three years. Butcher, who worked for BBC News for 25 years before coming to the Anglican Communion Office (ACO), took up the post just before the last meeting of the Anglican Consultative Council (ACC-16) in Zambia. He will leave in May after ACC-17 in Hong Kong. The post Communications Director at the Anglican Communion Office to move on appeared first on Episcopal News Service. Les rapports paroissiaux 2018 sont à soumettre aux diocèses le 1er mars et au Bureau de la Convention générale le 1er mai : le dépôt en ligne est disponible. Le dépôt en ligne des Rapports paroissiaux 2018 est maintenant ouvert pour toutes les congrégations sur le site de L’Église épiscopale. En plus du formulaire, vous trouverez également sur cette page web des instructions étape par étape ainsi qu’un livret de travail pour vous aider avec ce processus. “Le Rapport annuel paroissial a traditionnellement joué un rôle majeur dans la planification de la mission et du ministère de l’Église,” explique le révérend canon, le Dr. Michael Barlowe, membre de la direction de la Convention Générale. M Barlowe a également remarqué que toutes les congrégations devraient avoir reçu un dossier pour le rapport paroissial 2018 par courrier postal. L’envoi concernant le rapport paroissial comprend une lettre explicative avec les identifiants de la congrégation pour accéder au site. Les congrégations qui ne sont pas en mesure d’effectuer le dépôt du rapport en ligne peuvent utiliser le formulaire à imprimer, disponible sur le site de L’Église épiscopale ici. Le délai canonique pour le Rapport paroissial 2018 de votre diocèse est fixé au 1er mars. Nous vous prions de vérifier avec votre diocèse si des démarches spécifiques sont requises par celui-ci. D’ici au 1er mai, tous les rapports doivent avoir été revus et marqués comme complets par votre diocèse auprès du Bureau exécutif de la Convention générale. Les congrégations qui n’ont pas reçu l’envoi par courrier postal concernant le Rapport paroissial 2018 doivent immédiatement contacter leur administrateur pour obtenir leur identifiant de connexion. Rendez-vous ici pour obtenir les instructions et le livret de travail. “Je suis très reconnaissant des efforts considérables prodigués par le clergé et par notre leadership au niveau des congrégations pour la préparation minutieuse du Rapport paroissial,” a ajouté le révérend canon Barlowe. Le Rapport paroissial constitue la plus ancienne collecte de données en continu effectuée par L’Église épiscopale. Selon la tradition et le canon, les exigences en matière de production des rapports sont établies par le Comité de la chambre des députés sur l’état de l’église grâce au formulaire validé par le Conseil exécutif de l’Église. Considéré à travers toute L’Église Épiscopale comme un rite de passage annuel sous l’égide du cadre dirigeant de la Convention générale, le Rapport paroissial touche chaque congrégation de notre église. Considéré en même temps que d’autres données, y compris celles du registre des ordinations et du registre de la Convention générale, le rapport paroissial permet de dresser un état des lieux de l’Église. The post Les rapports paroissiaux 2018 sont à soumettre aux diocèses le 1er mars et au Bureau de la Convention générale le 1er mai : le dépôt en ligne est disponible. appeared first on Episcopal News Service. La presentación en línea del Informe Parroquial de 2018 de todas las congregaciones de La Iglesia Episcopal ahora está disponible en el sitio web de La Iglesia Episcopal. Además del formulario, la página también ofrece instrucciones paso a paso y libros de trabajo para guiarle a usted a través de este proceso. “El informe anual de parroquial ha desempeñado tradicionalmente un papel importante a medida que la Iglesia planifica su misión y su ministerio”, dijo el Reverendo Canónigo Dr. Michael Barlowe, Oficial Ejecutivo de la Convención General. Barlowe también señaló que todas las congregaciones deberían haber recibido su paquete del Informe Parroquial 2018 por correo. El correo del Informe Parroquial incluía una carta explicativa junto con la información de inicio de sesión de la congregación. Las congregaciones que no puedan presentar su solicitud en línea pueden utilizar un formulario imprimible, disponible en el sitio web de La Iglesia Episcopal aquí. La fecha límite canónica para el Informe Parroquial 2018 a su Diócesis es el 1 de marzo. Sin embargo, consulte con su diócesis para conocer en particular los requisitos diocesanos. Para el 1 de mayo, todos los informes deben haber sido revisados ​​y marcados como completos por sus diócesis para la Oficina Ejecutiva de la Convención General. Las congregaciones que no recibieron el correo del Informe Parroquial 2018 deben comunicarse inmediatamente con su administrador diocesano para obtener su información de inicio de sesión. Las instrucciones y los libros de ejercicios están disponibles aquí. “Estoy agradecido por el considerable esfuerzo del clero y el liderazgo congregacional en la preparación cuidadosa del Informe Parroquial”, agregó Barlowe. El Informe Parroquial es la recopilación de datos más antigua y continua de La Iglesia Episcopal. Por tradición y canon, los requisitos de información son desarrollados por el Comité de la Cámara de los Diputados sobre el Estado de la Iglesia, utilizando un formulario aprobado por el Consejo Ejecutivo de la Iglesia. Visto como un rito anual de paso en La Iglesia Episcopal, y supervisado por el Oficial Ejecutivo de la Convención General, el Informe Parroquial afecta a todas las congregaciones de la Iglesia. Junto con otros datos, incluido el del Registro de Ordenaciones y el Registrador de la Convención General, el Informe Parroquial proporciona una perspectiva del estado de la Iglesia. The post Los Informes Parroquiales de 2018 deben estar en las diócesis el 1 de marzo y en la Oficina de la Convención General el 1 de mayo: la presentación en línea está disponible appeared first on Episcopal News Service. El Tribunal de Revisión para Obispos dio a conocer, el 31 de enero de 2019, su dictamen en el asunto disciplinario del Título IV que implicaba al Rvdmo. J. Jon Bruno. El Tribunal de Revisión sostuvo la decisión del tribunal eclesiástico [o Panel de Audiencias] y la sentencia, aunque ajustó la misma de que comenzara con la decisión del Tribunal Eclesiástico y no con el dictamen del Tribunal de Revisión. El Tribunal de Revisión se reunió en Atlanta, Georgia, a fines de septiembre para oír los alegatos orales de las partes. La decisión del Tribunal se elaboró a lo largo de las ocho semanas subsiguientes, y los miembros del tribunal revisaron la decisión y la firmaron en el transcurso de las semanas que siguieron a la Navidad. (6) Las decisiones del Panel de Audiencias no se apoyan en pruebas sustanciales cuando se las analiza a la luz de las actas del caso que se apela. (Énfasis añadido) (p. 7 del dictamen). En su dictamen, “El Tribunal de Revisión para Obispos utilizó la normativa de revisión establecida en el Canon IV.15.6(b) y encuentra que la mayoría de las determinaciones factuales del Panel de Audiencias se apoyan en pruebas sustanciales cuando se ven como un todo a la luz del acta de apelación. El Tribunal de Revisión encuentra además que el Panel de Audiencias no interpretó ni aplicó erróneamente la Constitución y Cánones de La Iglesia Episcopal, ni cometió un error procesal ni incurrió en un proceso decisorio contrario al Título IV. Finalmente, el Tribunal de Revisión ratifica la suspensión de tres años del procesado, a partir del 2 de agosto de 2017”. (p. 6 del dictamen). El Tribunal de Revisión para Obispos agradece la oportunidad de servir a la Iglesia. Creemos que la decisión a la que se ha llegado en el asunto del obispo Bruno es justa, pero no causa de celebración en ningún ámbito. Esperamos que la decisión aporte claridad a los requisitos canónicos por los cuales nos gobernamos, promueva la reparación y la reconciliación, y resulte útil a las diócesis y obispos en sus ministerios. The post Tribunal de Revisión para Obispos: Rvdmo. J. Jon Bruno appeared first on Episcopal News Service. [Episcopal News Service] Diocese of Maine Bishop Stephen T. Lane and the Standing Committee issued a statement Feb. 7 regarding one of the candidates for the 10th bishop of Maine. A response from the candidate, also follows. An election convention is scheduled for Feb. 9 in Bangor. On Wednesday, January 30, 2019, the Bishop and Standing Committee received information regarding one of our nominees for bishop, the Rev. Canon Anne Mallonee. It was alleged that the Rev. Canon Mallonee failed to report the sexual abuse of a student by another priest when the Rev. Canon Mallonee was Chaplain at the University of Kansas in the late 1980’s. The Diocese of New York, which has jurisdiction in this matter, has determined that the facts of the matter do not support the allegation, and the Intake Officer of New York has dismissed the complaint. Under our canons, the person who brought the complaint has thirty (30) days to appeal, and the appeal period will overlap our Electing Convention by several weeks. As it stands now, there is currently no charge against the Rev. Canon Mallonee, and she remains on the ballot. We believe that we need to report to the Electing Convention the possibility of an appeal. In preparing this statement, the Bishop and Standing Committee have conferred with the Bishop for Pastoral Development and the nominee. I commend the decision for full transparency that your Bishop and Standing Committee have made on this matter. I am grateful for the dismissal by the Diocese of New York. The Episcopal Church has made an important commitment to address past misconduct — arising from the #MeToo movement — and to transform our Church into a safer place for all. As a priest I fully embrace this commitment. The post As election nears, Maine Bishop, Standing Committee keep candidate cleared in discipline matter on slate appeared first on Episcopal News Service. [Anglican Communion News Service] Archbishop of Canterbury Justin Welby will Feb. 7 welcome nearly 30 new Anglican bishops from around the world to his official London residence Lambeth Palace. Earlier inthe day, the bishops were at the Anglican Communion Office (ACO) in west London. They are taking part in an annual 10-day course run by Canterbury Cathedral – the Mother Church of the Anglican Communion – to teach them about the role of a bishop and the Anglican Communion. This year’s cohort comes from Australia, Brazil, Canada, India, Japan, Kenya, Madagascar, Melanesia, New Zealand, Pakistan, the Philippines, Scotland, South Sudan, Sri Lanka, Tanzania, the United States, and Zimbabwe. The post New Anglican Communion bishops receive induction in Canterbury, Lambeth and the ACO appeared first on Episcopal News Service. [Anglican Communion News Service] Archbishop of Canterbury Justin Welby, who was in the Jordanian capital Amman for a regional Anglican Primates’ Meeting, has met King Abdullah II of Jordan. A statement issued by the Royal Court said that the meeting covered Jordan’s efforts in safeguarding Islamic and Christian holy sites in Jerusalem and preserving its identity as a unifying city of peace; as well as Jordan’s efforts to promote interfaith dialogue and harmony. The post Archbishop of Canterbury meets Jordan’s King Abdullah during regional Primates’ Meeting in Amman appeared first on Episcopal News Service.